Is this the Golden Age of Podcasting? Why now? What does it mean? 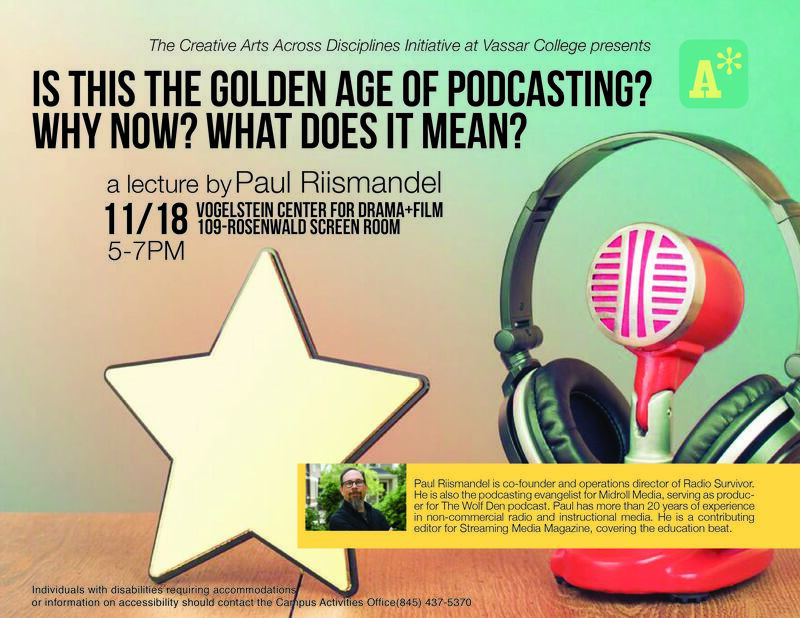 A guest to the History of Radio Course FILM/MEDS 282 (supported by CAAD), Paul Riismandel will offer a public lecture during his visit to campus on podcasting.